Missing Pieces: Most common cases of missing pieces are chunks out of knob and back of barrel. In both cases wood grain is matched as close to identical as possible. Sloppy wood is cleaned out and new pieces are glued, clamped and hand fitted to match almost undetectable. 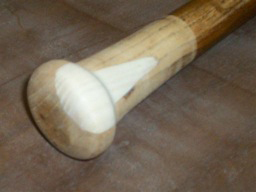 Broken Handles: Split handles are the most common repair we do. 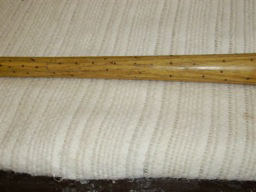 Bat is seperated as best as possible and wood glue is inserted. 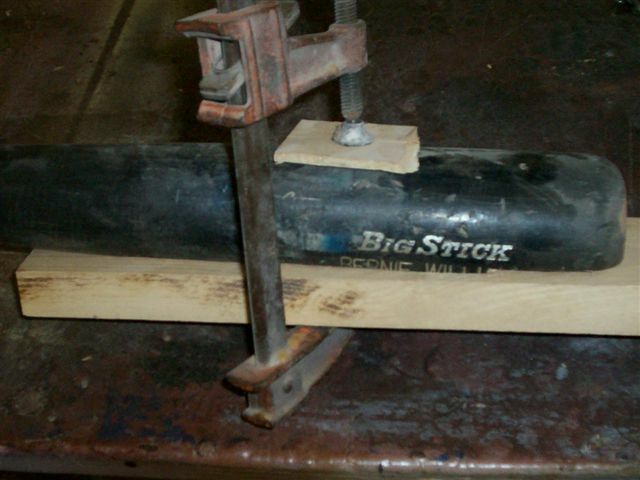 Many different clamps are used depending on the damage. 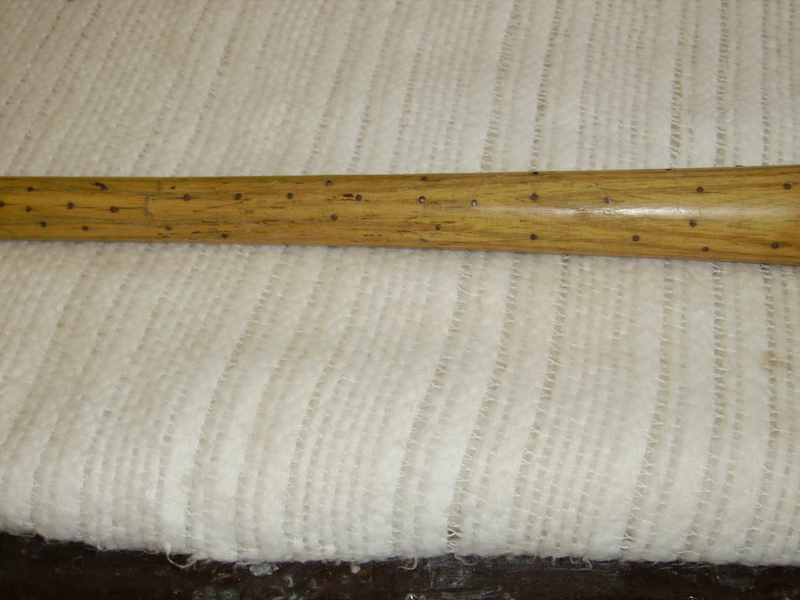 If bat has been nailed (bat boy repair) the nails are drilled out and removed. Important to remove nails to ensure plenty of glue can be inserted. 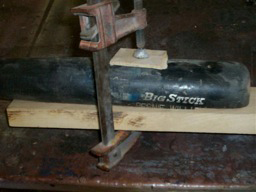 Deadwood on Back of Barrel: Getting plenty of glue in seperated layers of wood is key. Usually on back of barrell from game use. Special gluing tools required for solid result. Clamping is important. 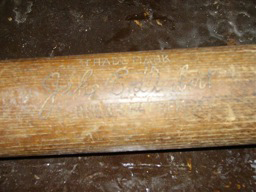 Decal Repair: Decal bat restoration is usually different on each bat. If bat has most of decal we will paint in some to blend in. 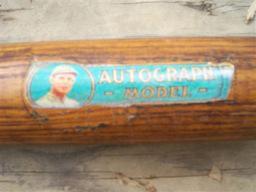 Most common restoration on decal bats is complete replacement of decal. 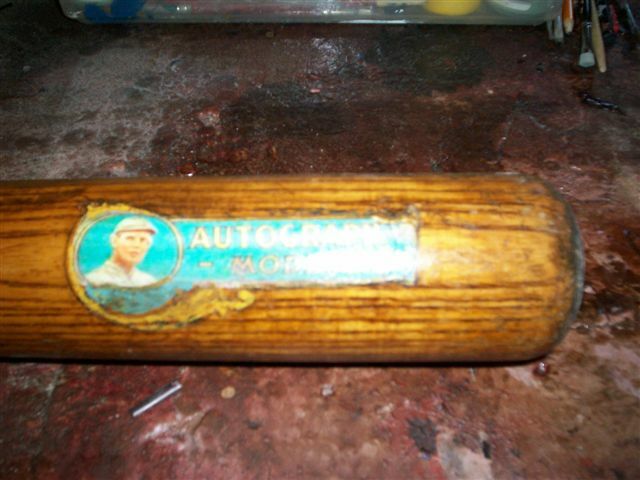 We have many different copies of original decals, exact colors and detail, that is applied on bat then finished over it. 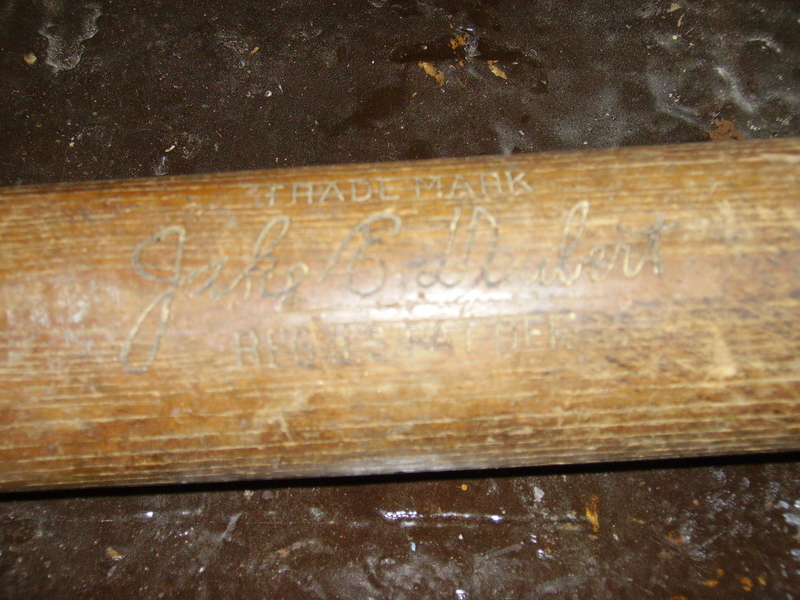 Afterwards bat is hand rubbed to look authentic. 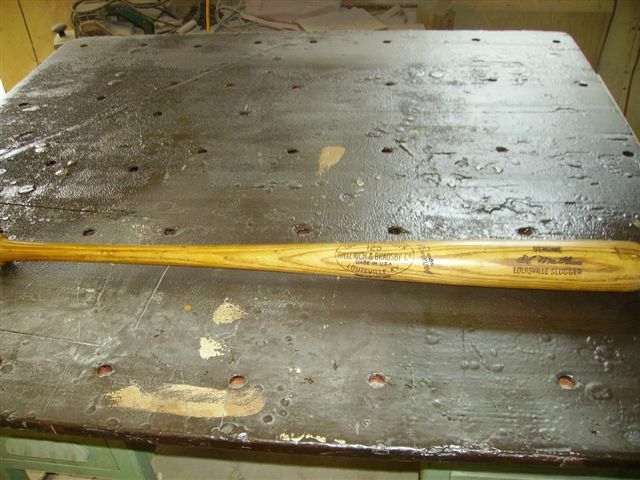 All Bat Restoration is always a flat fee of $50 per hour. 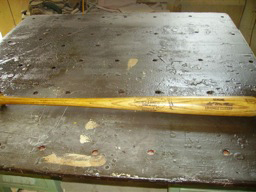 While every job is unique the "average" restoration takes approximately 1-4 hours. 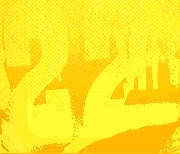 Call or e-mail w/ questions. Sending pictures with your e-mails is best.